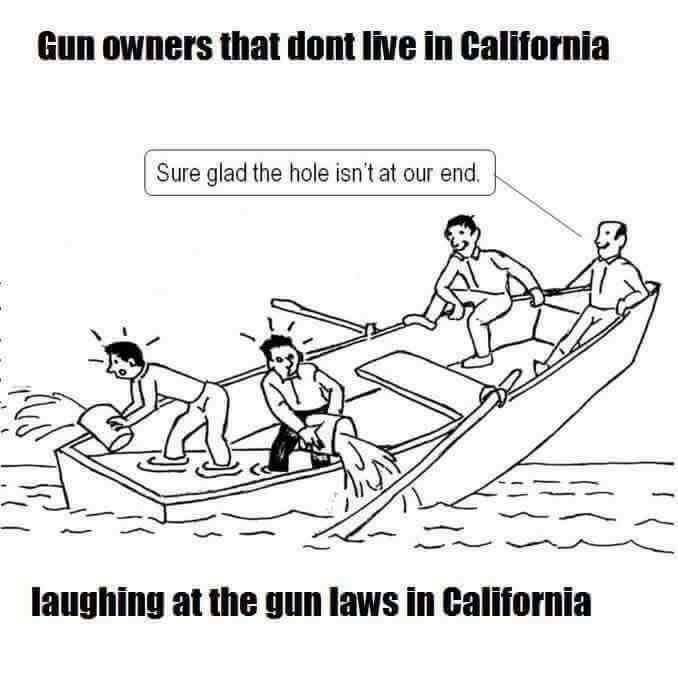 ...firearms laws were not the reason we left CA ~ 25 years ago. Our main reason, like you, was better family life, MUCH better schools, plus a better job and benefits. Were you at my work? That boat is the USA. The one's bailing are CA, NY et al. The ones on the other side are the rest of us in "free" states...And we seem to be burying our heads in the sand.. It doesn't matter how free Utah, ID, Wyoming, OK etc are now. it doesn't matter. Congress will sink that boat for ALL states. I am NOT optimistic gun laws will be overturned.